Trinh Cong Son is the holder of Vietnam’s many firsts. First musician to have sold 2 million copies in Japan. First artist to be featured on Google’s homepage. First personality whose annual tribute concert assembled an audience of more than 20,000 people. 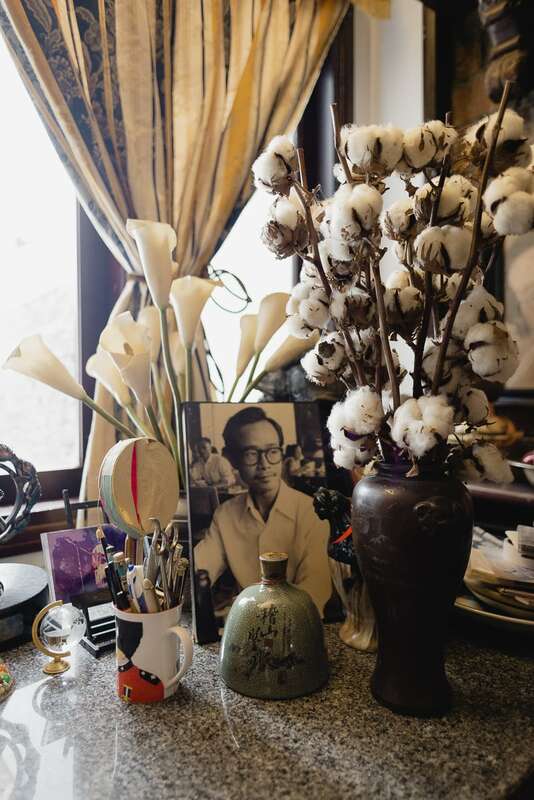 The songwriter, poet, and painter is undoubtedly one of the most influential figures in Vietnam. Born in 1939 and passed away in 2001, Trinh Cong Son witnessed a historical period of the country. His 600 songs about love, war, and the philosophy of being human in a turbulent time touched millions of Vietnamese so deeply no ban or gun could keep them from being sung. 30 years after the war ended, in 2006, he was awarded the World Peace Music Award next to Bob Dylan and Joan Baez. Trinh Vinh Trinh, the guardian of Trinh Cong Son’s cultural legacy. So in light of Trinh Cong Son’s Remembrance Day, April 1st, we visited the house he used to live in Saigon and met his sister Trinh Vinh Trinh. Mrs. Trinh is a recognized singer of Trinh Cong Son’s music. But ever since his passing, she’s also known as the guardian of her brother’s monumental legacy. His bedroom, for instance, has been kept intact for almost two decades. 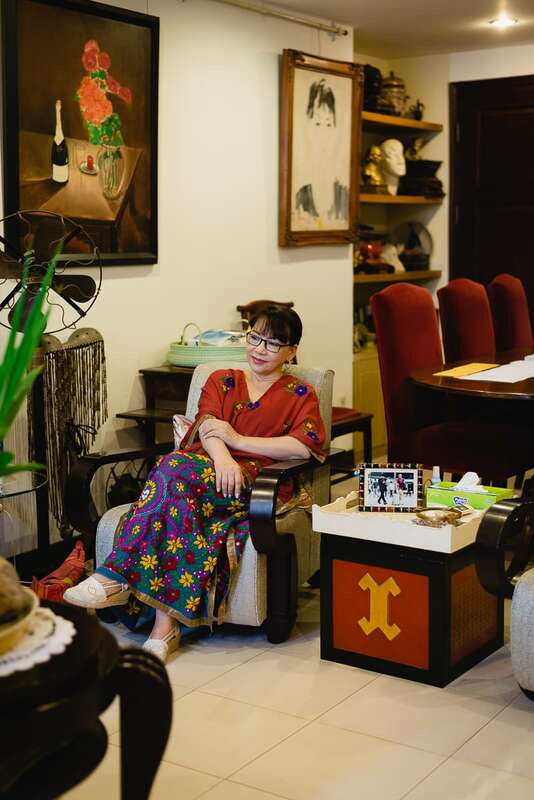 Walking down memory lane, she shares with us how their family is preserving and passing on Trinh Cong Son’s lifetime of work. 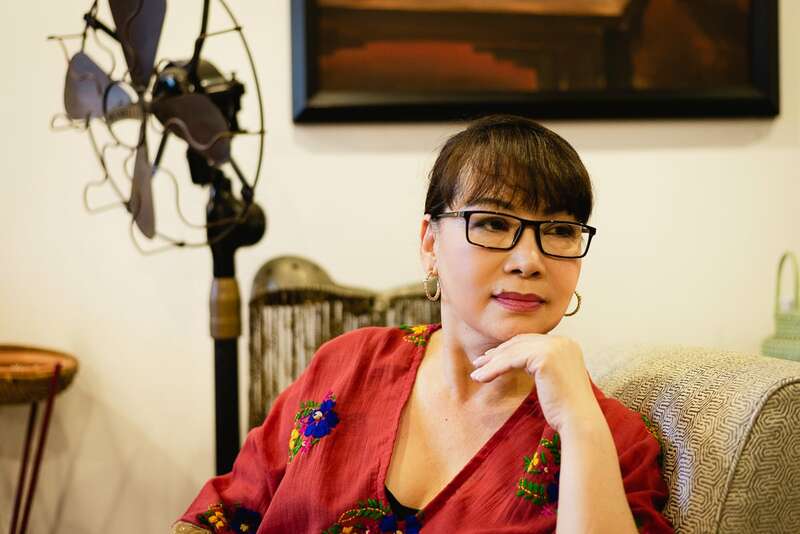 “Our responsibility is to preserve what he (Trinh Cong Son) left behind and hand it over to the next generations,” says Mrs Trinh. How did your family handle Trinh Cong Son’s belongings after his passing? In 2011 we went through all his relics, from journals, letters, postcards, to drawings. Within 6 months and with help from a group of young volunteers, we listed down about 10,000 items. We hope one day these articles can be displaced in an exhibition complex dedicated to him. My brother loved giving away his works. Most of his paintings and poems were presents for other people. When he died, some recipients returned these art pieces to us, but many items still remain somewhere out there. Will you release all of your brother’s works to the public? All his life my brother created arts in the service of others. Every word ever written down was meant to soothe, help, encourage, or empathize with someone. He kept none to himself. We want to preserve this very spirit. So as a family we’ve agreed that our brother’s legacy is no longer ours to keep. It belongs to the people of Vietnam. Our responsibility is to preserve what he left behind and hand it over to the next generations. Every piece of his works will be released to the public when the time is right. A sister’s walk down the memory lane. Known as a multidisciplinary artist, what else did your brother leave behind aside from his lyrical monuments? Whether it’s songs, poems or paintings, my brother loved the act of creating. Some think he was also a prophet. And that’s because many of the scenarios implied in his lyrics turned out to be true years later. For example, he wrote, “Ðêm nay hòa bình sao mắt mẹ chưa vui” (Peace reigns the night, yet there’s sadness in our mothers’ eyes). Today, Vietnam goes to sleep free from the terror of gunshots. Yet we’re haunted by all kinds of different threats–violence, theft, and murder. The war ended, but the suffering doesn’t. It’s a cultural crisis we’re going through, one my brother probably foresaw. And so he sang, “Dựng lại người, dựng lại nhà” (Rebuild our houses. Rebuild our people). Young artists like Tung Duong now perform Trinh Cong Son’s music very differently from the past. Vietnam’s Got Talent’s Trong Nhan explores his rhythms on the drums. If your brother was still alive, how would he react to this? My brother loved ‘new.’ New styles. New ideologies. And especially new artists. He was extremely supportive of Hong Nhung when she began her singing career breathing new life into his songs. Then Tran Manh Tuan started playing Trinh Cong Son’s music on the saxophone, which we all loved. Tuan Manh combined Mozart’s and Trinh Cong Son’s, which was well-loved by locals and foreigners alike. To my brother these artists add wonderful, enriching nuances to his music. If he were still here, I think he’d be excited about Tung Duong and Trong Nhan. 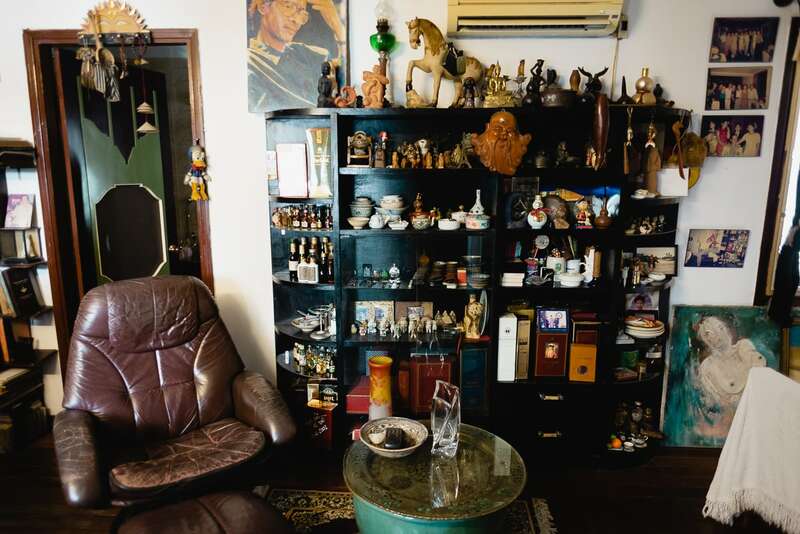 Trinh Cong Son’s bedroom has been kept intact for almost two decades. Does your family encourage young musicians to experiment with Trinh Cong Son’s works? Yes, we welcome experiments. About 16 of his singles were unfinished at the time of his passing. We’d love for the next generation of musicians to build up on what my brother started but couldn’t complete. Most people back in the time loved the classic duo of Khanh Ly and Trinh Cong Son. So it was not easy for them to tolerate his music being expressed in unorthodox ways. But times have changed. We understand that the youth now have musical preferences very different from ours. And the good thing is that Tring Cong Son’s music remains inclusive. It’s not fixated on a particular style or performer. It doesn’t discriminate against people based on their age, cultural or artistic background, just like how its author never did. About 10,000 items were listed down as Trinh Cong Son’s relics. Why did you start the Trinh Cong Son Foundation? What does it take to be a recipient of Trinh Cong Son’s Scholarship? My brother dedicated a big part of his life to nurturing new talents. He was an advocate, a mentor, and a sponsor to young scholars and budding artists. The Trinh Cong Son Foundation aims to continue his mission of empowering youth. We dream of a future where our homeland is built and run by well-educated, ethical citizens, and this is a way to make it happen. We offer valuable, yet highly selective scholarships. Talent is just one of our criteria. In order to be chosen, the applicant also needs to display certain ethics that reflect our core values. Our ideal recipient is someone who remains modest, egalitarian, and persistent in their learning regardless of their merits. As part of the selection process, we interview both the applicant and his/her family to get a well-rounded perspective. We have, in the past, rejected brilliant applicants whose ethics we questioned. But we also have made choices we’re happy with, such as giving out scholarships to Trong Nhan and An Tran. If the late artist were still here, he would be excited about the young people who are experimenting with his works. Your brother was the first Vietnamese artist whose songs became hits in Japan. How exactly was Trinh Cong Son’s music brought to Japan? It was all thanks to the Japanese reporters who came to Vietnam during the war, some of whom never came back. 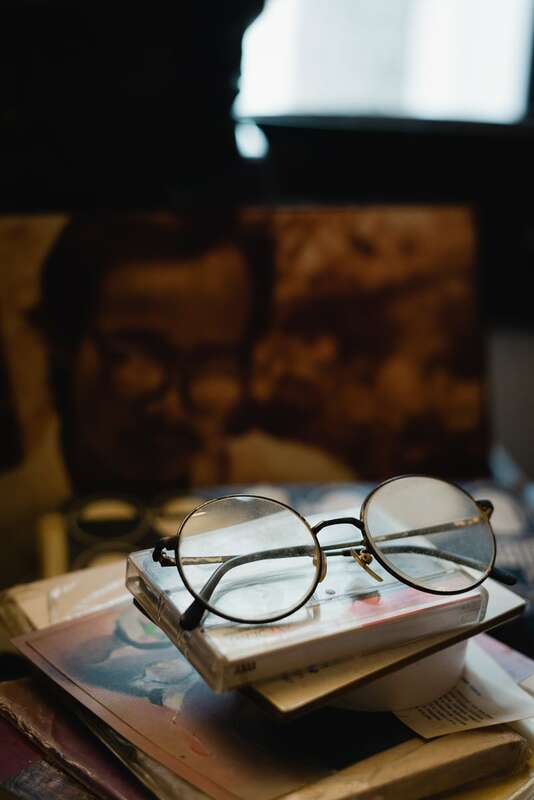 The returnees told NHK (Japan Broadcasting Corporation) about an anti-war musician whose songs were sung by millions of Vietnamese in their darkest times. NHK then invited the musician–my brother–to perform in Japan. After that, his singles such as “Diem xua” and “Ngu di con” went on to sell 2 million copies all over Japan. They were also made popular by Tokiko Kato, a Japanese diva famous for her anti-war activism. It was during the 60s, even before Michael Jackson came to the country. Considering how conservative the Japanese society was back then, my brother broke the record as a foreign artist. Decades later, in an APEC meeting, I performed “Diem xua” in front of the Japanese delegation. At the end I told them the song was written by my older brother. They couldn’t believe their ears. It was so popular that they had always assumed the song was originally Japanese. 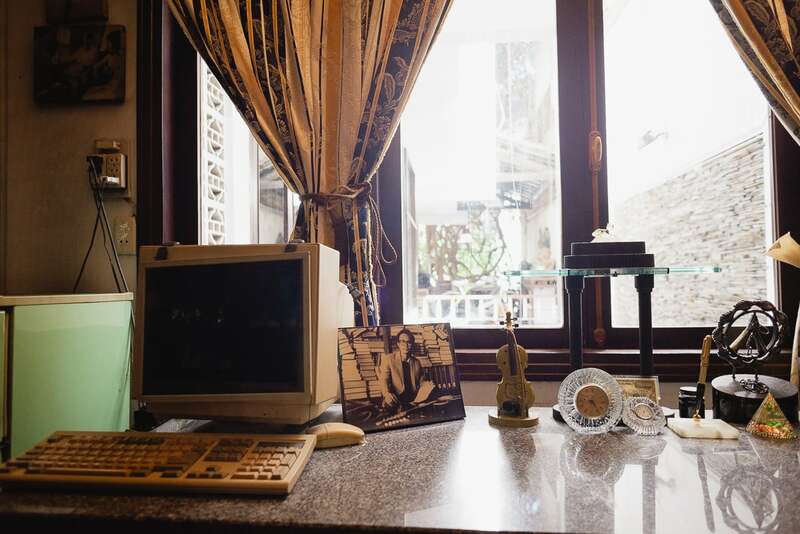 The window by which Trinh Cong Son used to compose his songs. Music aside, what was Trinh Cong Son’s personal connection with Japan? The most passionate connection between my brother and Japan must be Doctor Michiko Yoshii, his ex-fiance. 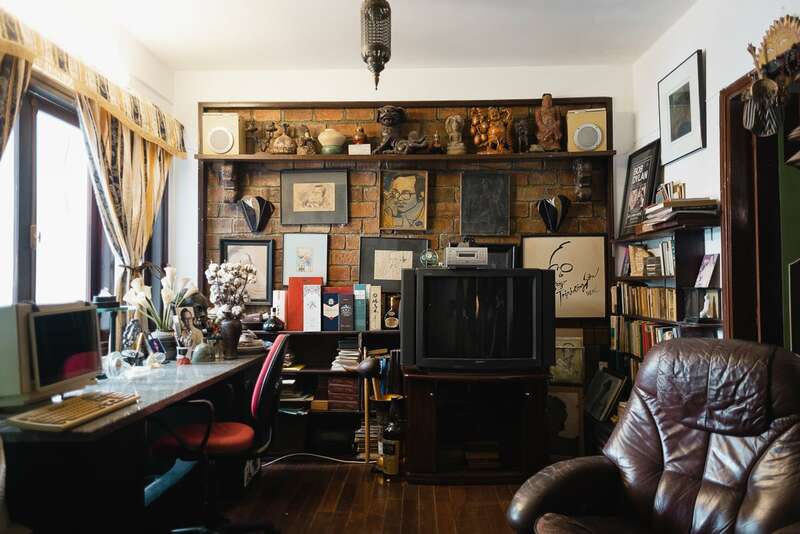 A graduate student in Paris, Ms Yoshii was fascinated by Vietnamese culture and music. That was how she came to know of my brother. She wrote her master’s thesis on his works. When the two of them finally had the chance to meet in Saigon, she could already his songs in perfect Vietnamese. They fell in love and decided to get married. But eventually my brother called it off. The full story will soon be told on screen. It was as if the songwriter never left his room. On 28/02/2019, his 80th birthday, Trinh Cong Son became the first Vietnamese artist to be featured by Google Doodle on the search engine’s homepage. What was the experience like for your family? It was a memorable day for our family. Five minutes past midnight, we started receiving calls and messages from our friends and family all over the world. My brother’s fans were thrilled. The press was intrigued. Within just one day we recorded 300 articles written about him on the internet. Coincidentally, it was also the day Kim Jong Un and Donald Trump met in Hanoi for a summit on nuclear weapons and world peace. Actually, we already knew about the Google initiative six months prior to that. After receiving a thoughtful, impressive proposal from their Headquarters in Singapore, we happily signed our consent.